The run-off (second round) of the French Presidential election will be held on Sunday. Marine Le Pen trails Emmanuel Macron in the polls by about 18 percentage points. The two candidates squared off in a televised debate yesterday. Le Pen certainly has more political experience - and is generally considered a more skilled debater, but by most accounts the debate was a draw. One nonverbal (and a near absolute) debate mistake - is the touching of one's face. With rare exception, facial touching during a debate, a speech, and interview - or any kind of public appearance - should never be performed. The audience (even an audience of one) will interpret this as suspicious and often deceptive (even if they have no formal nonverbal training) - and a significantly high percentage of the time, they'd be correct. 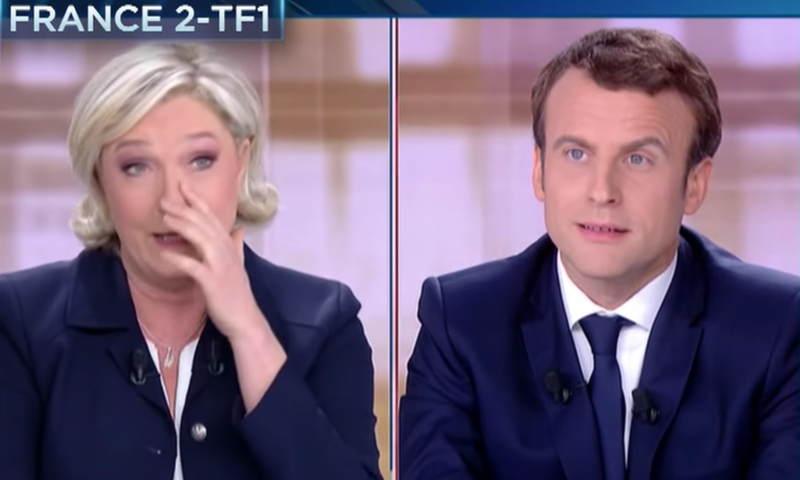 Marine Le Pen displayed facial touching at multiple times during this debate. 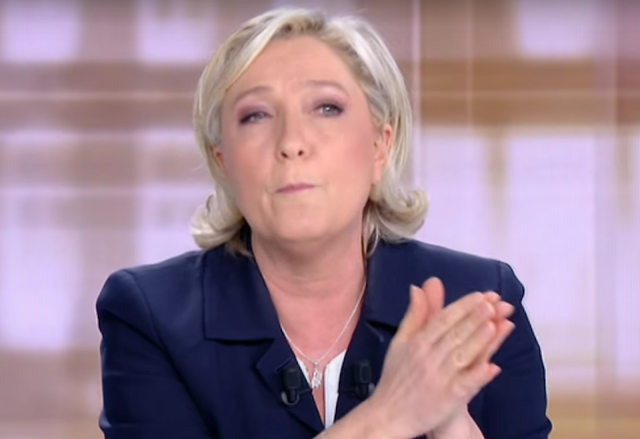 Another mistake Le Pen made was using a "Pseudoprayer hand-chop". This conveys a patronizing and condescending emotional tone - and while its use tends to solidify the connections/strength of commitment with those who already are followers - people who are undecided (and also those who already disagree) will become alienated (or more alienated) upon seeing the pseudoprayer hand-chop. Thus, the pseudoprayer hand-chop is one of many nonverbal signals which, while often will make its user feel more assertive and alpha - it also simultaneously acts as a rapport destroyer to their audience. Summary: From a nonverbal perspective, Emmanuel Macron significantly outperformed Marine Le Pen in their Wednesday debate. Ms. 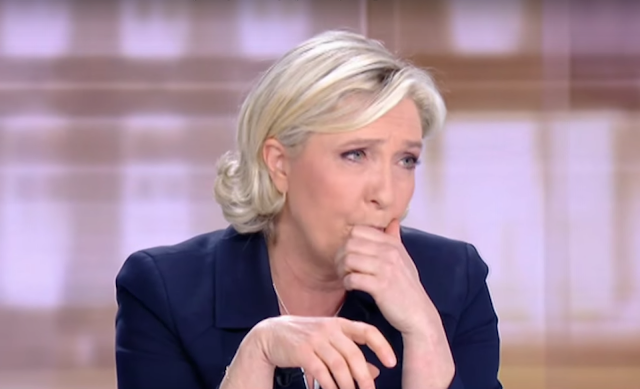 Le Pen also displayed multiple signals consistent with deception.